If you are wondering what to do in Munich, Germany? We highly recommend you explore this city by bike. 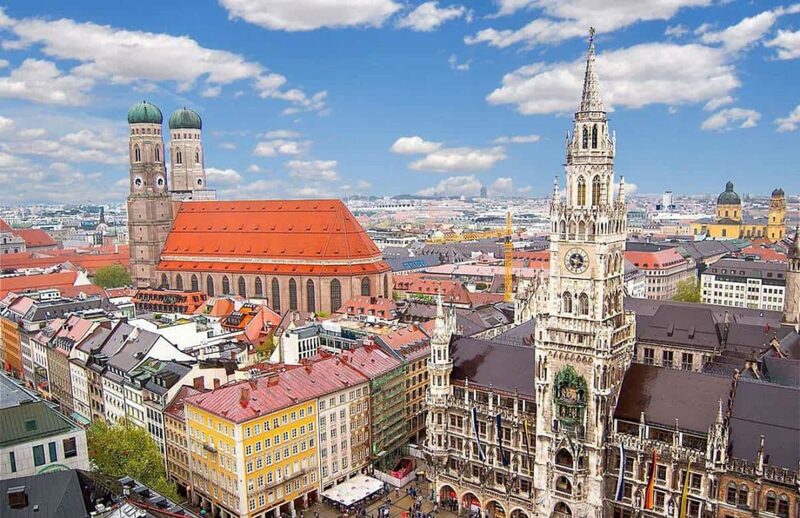 Munich is the home of centuries-old buildings, various landmarks, polished European architectures, and museums. It's a popular tourist destination that has already garnered the attention of enthusiastic travelers. And, one of the best ways to explore the top-notch tourist spots of this city is via a bike tour. 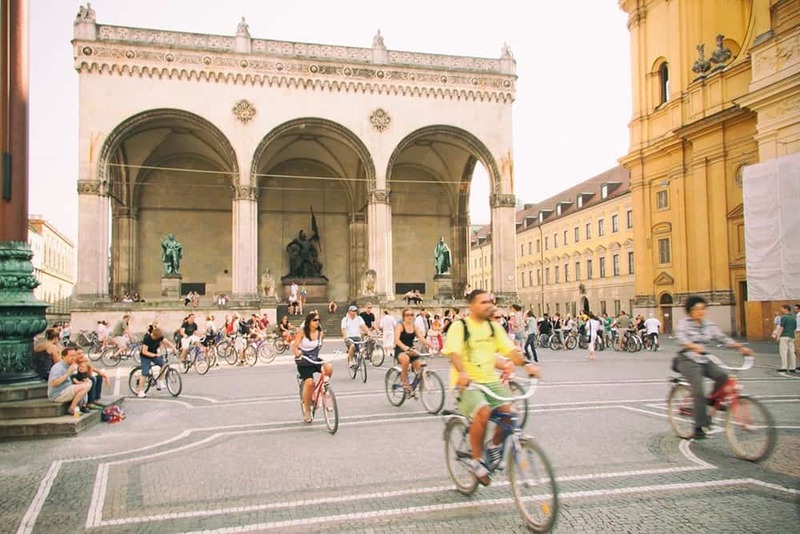 Munich claims to be one of the most cycle-friendly German cities, with many cycling lanes, bike paths, and sidewalks. As such it is truly pretty simple to grab a Munich bike rental for either a few hours or even for a day. Self-Guided or Organized Bike Tour? You could either choose to enjoy a self-guided bike tour (keep reading for all the information on this), or you might prefer to book one that is led by a proper tour guide. For those wishing to keep things easy and straightforward, we highly recommend that you check out this super popular bike tour. It is the best Munich bike tour in our opinion, but the Classic Munich Bike Tour is a good choice as well. For everyone else, if you prefer doing things your own way, keep reading to find everything you need to know for your day of bike explorations. 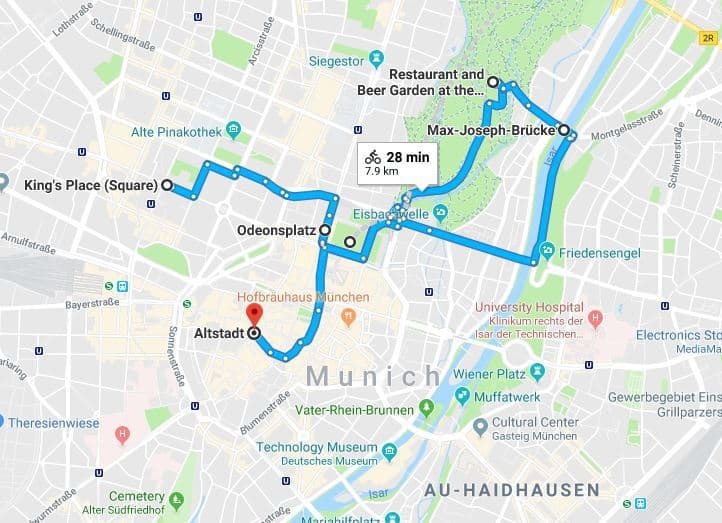 Find below our suggested route to follow, as well as information on where to rent-a-bike in Munich. Renting a bike in Munich with Donkey Republic is super easy! You can rent your bike with an app and unlock the bike with your phone. We also love that you can pick up your bike in one location and drop it off in a completely different spot. Perfect for a one-way self-guided tour of Munich. 2. 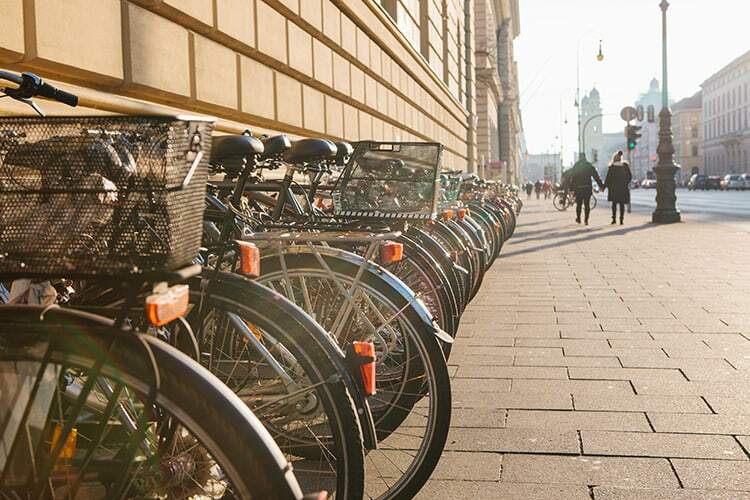 Rent your Munich city bike from one of the many locations in the city. 24/7 Pick-up available. 3. Find your bike and tap “Unlock” and the app will open the bike’s electronic lock. 4. Use your rental bike at your own leisure. 5. At the end of your self-guided bike tour, simply return the rental bike to one of the drop-off locations available, lock it and end your rental with the app. Here is a lovely self-guided route that you can follow on your bicycle tour through Munich. Your bike tour in Munich could be kick-started with a visit to this popular spot i.e. Konigsplatz. It is considered to be one of the most popular and busiest squares in Munich. It was designed in classic Neoclassical style (in the early 1860s). In ancient times, Konigsplatz was considered to be the center of cultural life, Catholic Christianity, civic ideals, and royal administration. 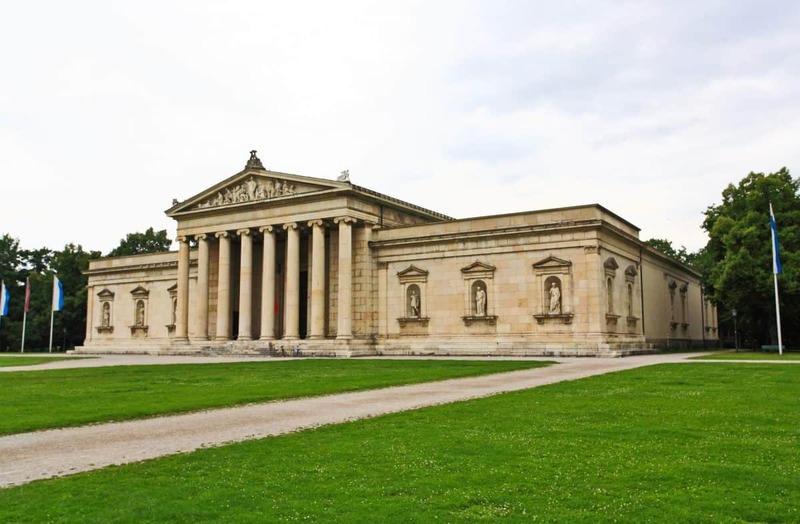 Such a beautiful & monumental place is surrounded by three classical buildings, for example, the Glyptothek (a great collection of ancient Roman and Greek sculpture), the Propylaen (the ornate gateway), and the Antikensammlungen (a museum). On your bike tour, you will have an impeccable opportunity to visit and enjoy this timeless heritage and its lustrous exterior greenery. The second destination that you should visit (as a part of your Munich bike tour) is Odeonsplatz. Like Konigsplatz, this place also features its own royal history. Developed in the 19th century, it's one of the top tourist attractions in central Munich. The place is well-known for its distinctive Italian-style architecture. Note, Odeonsplatz is considered to be one of the largest public squares of central Munich. This space has still retained its original heritage and creative streak. It hosts a bunch of parades, annual concerts, and city celebrations. Adjacent to Odeonsplatz, Hofgarten is the former court garden of Munich’s Residenz Palace. The garden was originally founded in 1613. It's characterized by ornamental fountains, a fruit orchard, sumptuous greenery, and mulberry tree-lined walkways. Fortunately, the place has retained much of its original Italian Renaissance style with manicured lawns, 16th-century water features, and colorful flowerbeds. It will be really exciting to explore and enjoy the lush greenery and solid Italian architecture of this tranquil spot. The fourth essential tourist spot of your bike tour in Munich should be the Englischer Garten. It is the largest city park in Germany. This beautiful and well-maintained garden features naturally arranged groups of plants and trees that offer an ever-changing vista. Meanwhile, its artificial lake and winding streams collectively create the impression of a natural landscape. 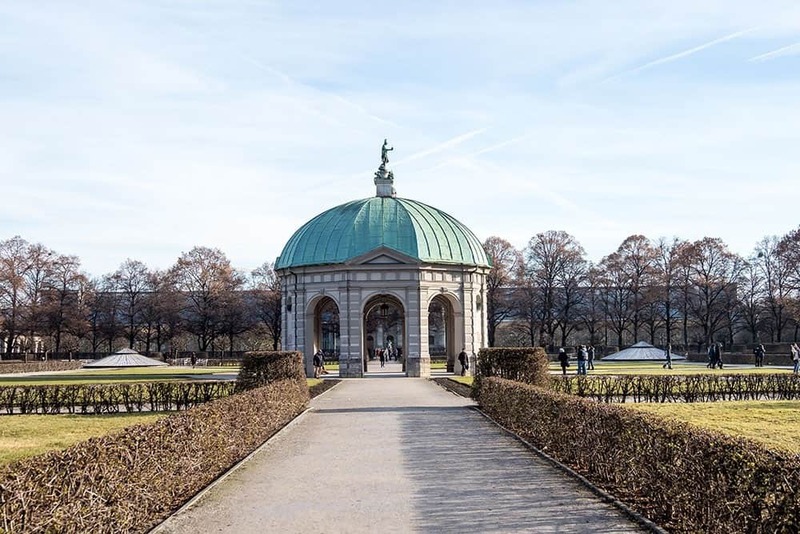 Founded in 1785, Englischer Garten continues to attract both visitors and locals alike. It features 13 kilometers of bridle paths and 36 kilometers of pathways — thus, it's a perfect place to explore on a bike. 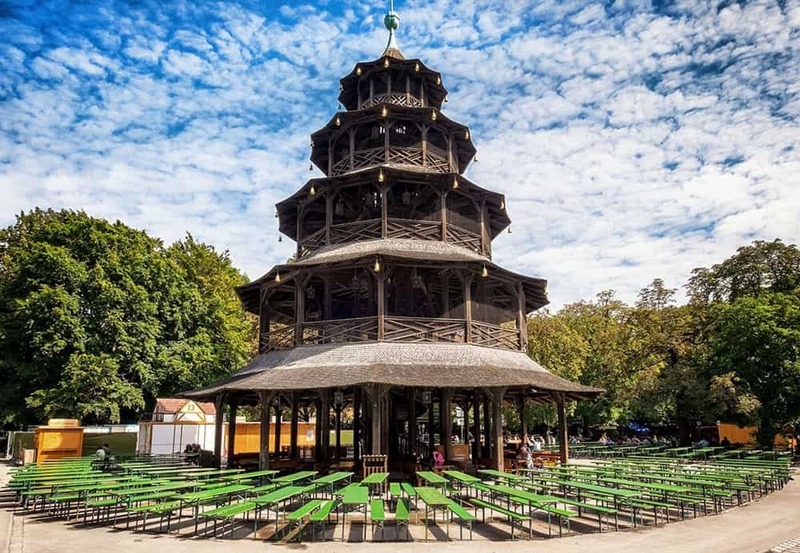 Located in the heart of the Englischer Garten, the “Chinese Tower Beer Garden” features as one of the largest, finest, and most colorful beer gardens of Munich. Featuring almost 7,000 seats, you can always find a perfect spot to enjoy a glass of refreshing beer, soothing atmosphere, and traditional brass music. 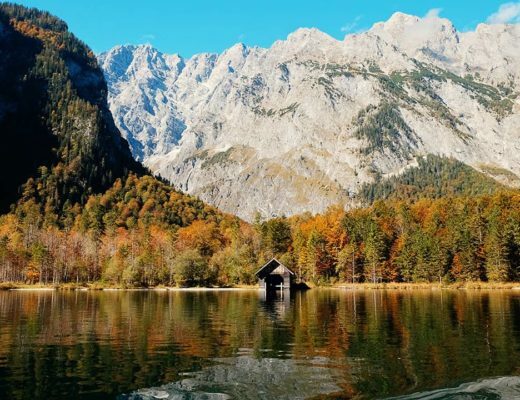 Once you're done, take your bicycle and quickly explore the nitty-gritty of this place — you'll be surely impressed by its fresh, peaceful, and comforting atmosphere (amidst the bustling Munich). 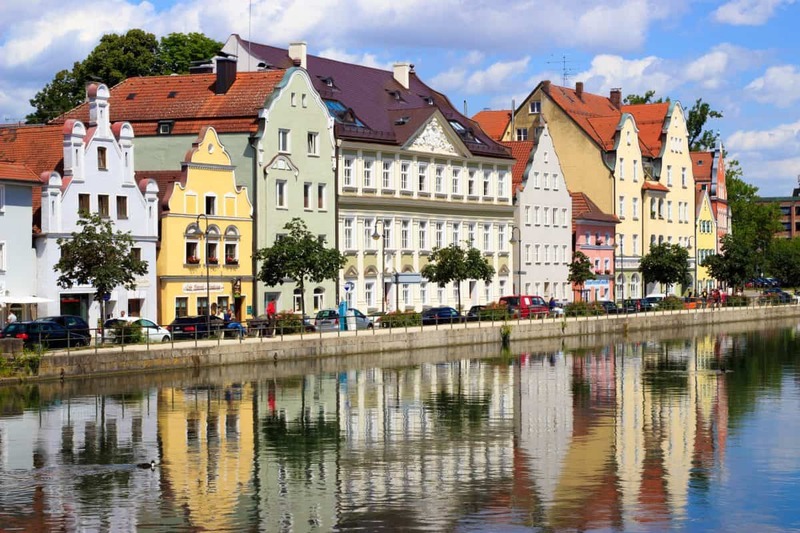 The city of Munich is situated on the bank of the river Isar. For both inhabitants and visitors of Munich, the bank of the Isar river is an incredibly pretty sight. In fact, it's a popular source of recreational and relaxing activities in Munich. Embark on a delightful ride along the unparalleled views of this river. 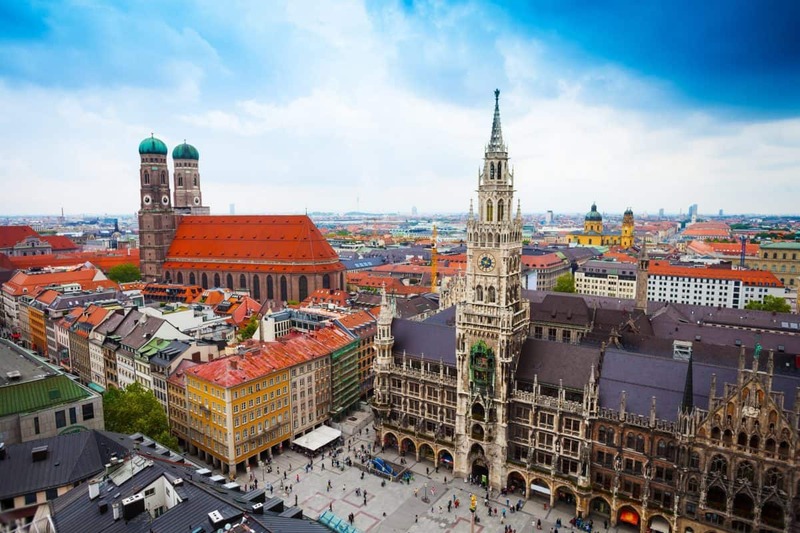 Your Munich bike tour should include a visit to the city's beautiful and majestic Old Town and its surrounding notable tourist attractions, such as Hofbrauhaus, Old Town Hall and New Town Hall (the gargoyle-dotted Neues Rathaus). Hofbrauhausis is a famous beer hall, a perfect place to experience the local culture & a refreshing brewery. Also, do not forget to visit two notable memorials of the city – Old Town Hall and New Town Hall. You'll be amazed by the masterpiece interior of Old Town Hall that features golden stairs and decorated beams. And, the New Town Hall, a magnificent neo-gothic building represents the rich historical background of Munich. Take your bike, roam around the Neues Rathaus, and explore its tower balcony, Glockenspiel, and observation deck. The Old Town is a great place to conclude your bike tour as there is so much to see and enjoy here. So grab yourself a bike and visit these main Munich tourist attractions on a self-guided day tour around the city. With around 80% of Münchners owning the two-wheeled transport, it is pretty clear that Germany’s bicycle capital ( Radlhauptstadt) is best explored by bike! When you are staying in Munich, the best way to get around town, other then a bicycle, is by Munich taxi. Book it online here. Are you planning to explore Munich by bike? Are you thinking of tackling a self-guided tour or booking an organized tour? Great post! I really want to do this now. Thanks for sharing your adventure. I want to visit Munich soon too! Great article. Thanks for this information all these places are really intresting.